I was never a fan of sports headphones, because most of them I’ve come across are usually expensive, offer features that I don’t really use, have subpar sound quality and worse of all, some offer battery life that doesn’t last till my second 2 hour workout, which can be rather annoying if you forget to charge your headphones before hitting the gym. I received the Creative Outlier Sports for review a month ago and was pretty excited about to try it out. Creative isn’t the first company that comes into the picture when you think of sports headphones, as they are actually more well known for its SoundBlaster sound cards, speakers and its flagship Aurvana series headphones, hence it is rather interesting to find out how Creative could do better than its competitors when it comes to the sports headphone category. The Outlier Sports is one of the products that made entry to the Malaysian market when Creative announced its return. 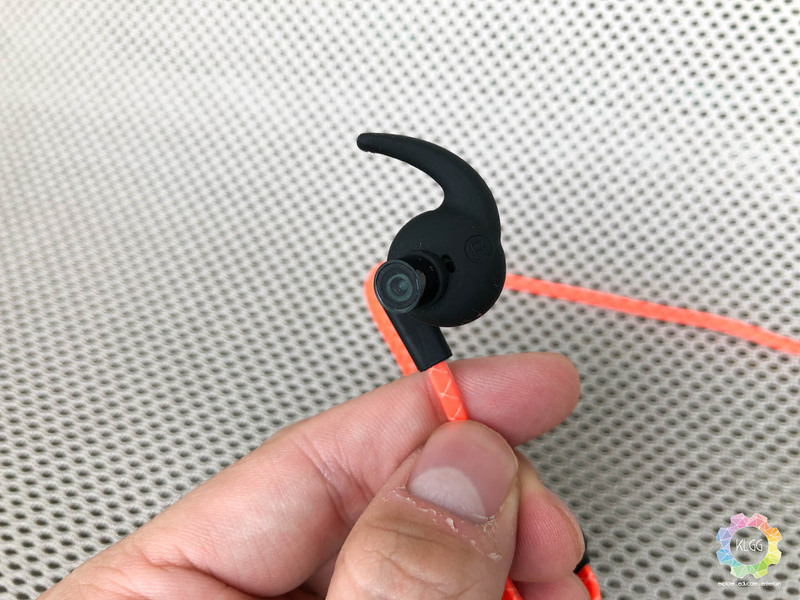 Like many other sports headphone, the Outlier Sports uses an over the neck design, and I am glad that Creative has really wrapped a layer of rubberized plastic on the protect the cable, this also helps to avoid it slipping off as you wear it around your neck. 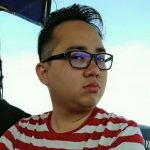 The earbuds are very well-built and ergonomically designed, both sides already come pre-installed with rubberized wing tips, which helps secure them in your ear as you are running, you also have the option of changing to the one without the wing. The music control module is thankfully a lightweight and thin one, so that you don’t actually feel a bulk as you are wearing it, they aren’t difficult to press and have a physical touch instead of a flat surface, so that you know you are really pressing on a button. Music controls are also very straightforward, the volume up and down buttons are used for skipping tracks when you long press them, the middle button is used for power, Bluetooth pairing and answering a phone call. 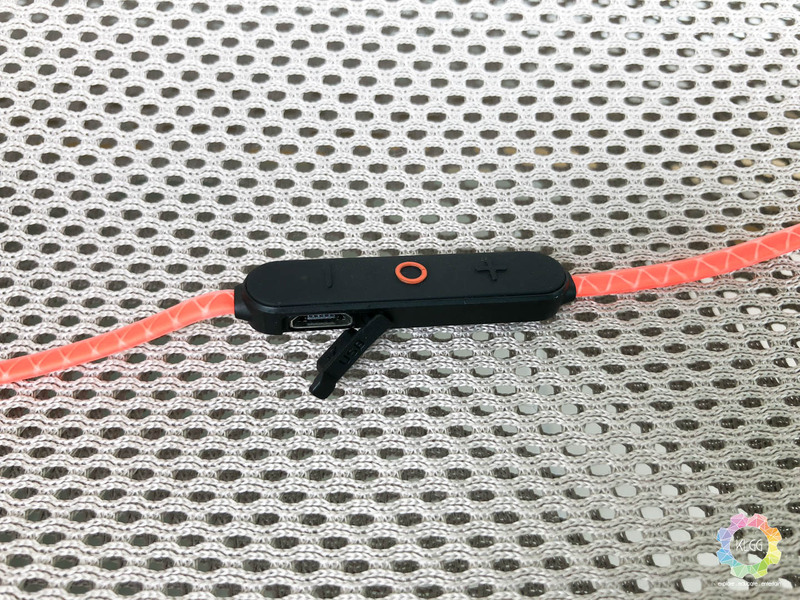 Instead of using a cradle or proprietary connector, the Outlier Sports charges using a standard MicroUSB port, and it takes around 2 hours to fully charge it in my test, while offering close to the company’s claimed 11 hours of battery life in a single charge. Out of the box, you get a nice case for storing the headphones, ear tips of different sizes and a short MicroUSB cable for charging. Most sports headphones I have come across usually have rather flat frequencies, and that makes a lot of sense when you want to concentrate on your workouts without having too much emphasis on low and high frequencies, but on the other hand, some may just want that little oomph in their music to be more motivated at workouts, hence the Outlier Sports aim to deliver that in audio playback. 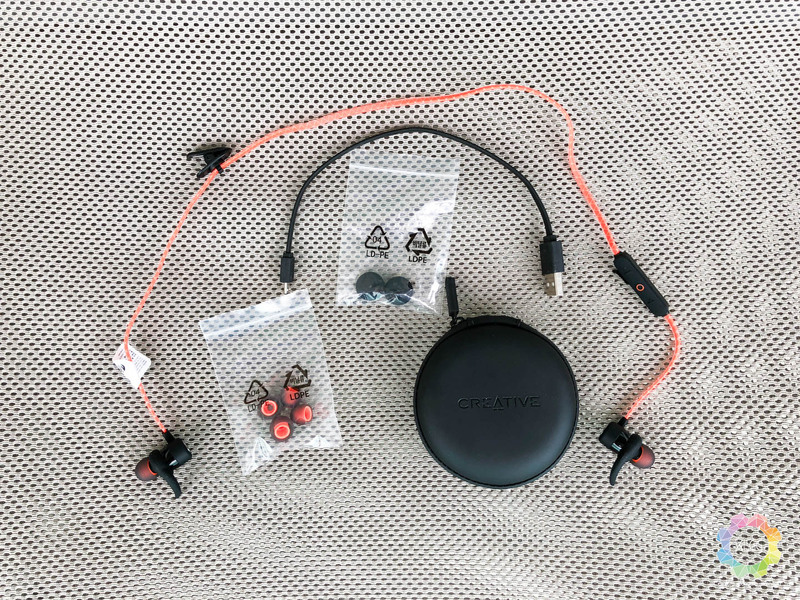 On a side note, the Outlier Sports supports the aptX codec, which in laymen terms, it enables better data transmission between the headphones and a supported audio playback device, hence offering close to CD-quality streaming, this is a feature that not many wireless headphones in the same range offer. In my audio tests, the Outlier Sports is decent when it comes to producing bass frequencies, mids and highs are well controlled with a decent soundstage, which you don’t get that annoying sharp and hissing sound if you are listening to high pitched vocals. I mainly listen to Pop and K-Pop on Spotify with Extreme Quality, the Outlier Sports managed to play Alan Walker’s Faded with some decent amount of bass in the chorus part, while maintaining clarity in vocal and instruments; the same experience can also be applied to BTS’ MIC DROP, the Outlier Sports is able to produce a really satisfying bass response in the bass heavy intro, great for some oomph and motivation in workouts. 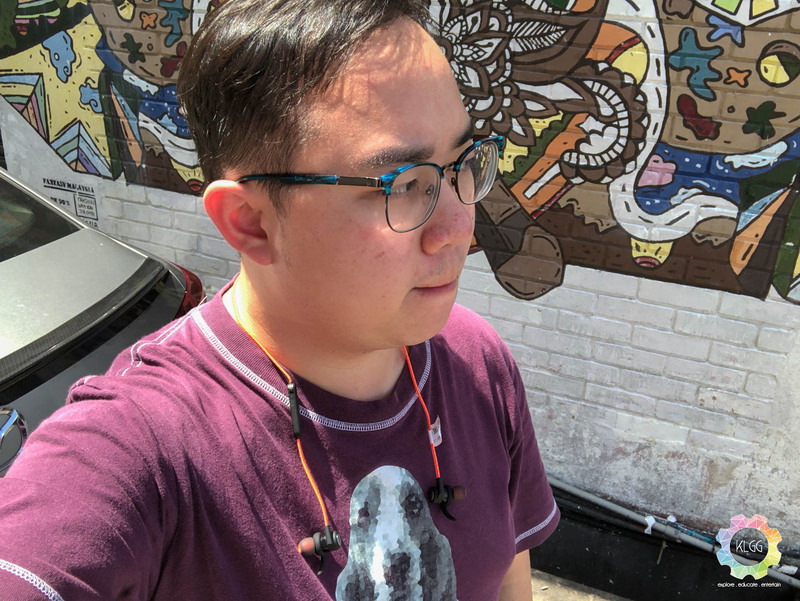 During the review period, I used the Outlier Sports for my train rides to town for meetings, I really loved how it was able to isolate background noise despite not having any noise cancellation feature, the wing tips managed to keep the earbuds in place and fits my ear perfectly as you can see in the picture. The Outlier Sports’ microphone is an impressive hardware, and probably one of the best if not the best out there, my colleague was able to hear my voice clearly when I was talking at a busy train station, where there’s obvious background noise of moving cars, train announcements and people talking around me, while the noise isolation ear tips does help listening to voice calls better in such environments. At RM299, the Creative Outlier Sports managed to hit the sweet spot price tag for a decent pair of sports headphones, in fact I won’t even consider this to be a mere headphone for workouts, you can have it replace your usual Bluetooth handsfree and probably invest one for your jack-less smartphone, the 11-hour battery life and IPX4 weather-proof feature is also something that you can hardly get in other headphones of the same price range. 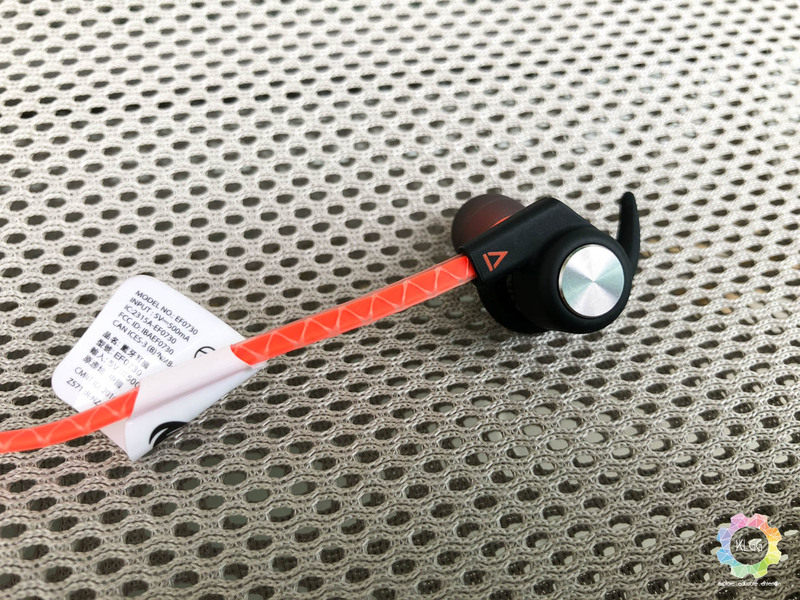 If you don’t need fancy fitness tracking features and just want good sound on general, look no further on the Creative Outlier Sports. Creative Outlier Sports retails at RM299, get it here. 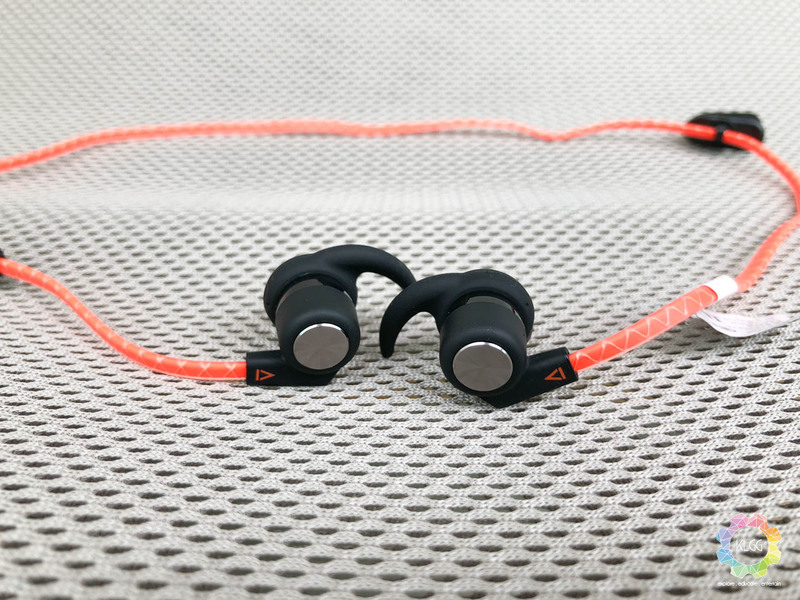 At RM299, the Creative Outlier Sports managed to hit the sweet spot price tag for a decent pair of sports headphones, complete with aptX support and IPX4 weather proof capabilities, this is definitely one headphone that we'd recommend for workouts and casual music listening.